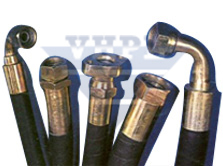 Vardhman® today is a renowned Brand name among the Industry for Industrial Rubber Hoses, Hydraulic Rubber Hoses, Rubber Sheets(rotocure), Electrical Insualting Mats (IS-15652), PVC Braided Hoses, Composite Hoses & Pvc Water Stop Seal etc. Many Products offered by us are ISI marked. The five Bis license includes IS-444, IS-638, IS-446, IS-15652 & IS-3549 . We are using modern techniques for manufacturing our offered products and all the testing facilities/third party inspection facilities are available in the factory itself. 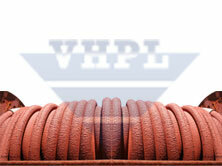 Production commencement on NEW Imported rubber sheet plant from 3rd July 2009. 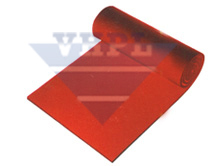 Vardhman Insulating mats are now in conformity to ISI mark IS: 15652-2006 which are used for very high voltage applications even at very low temperature.